Eat, Drink and be merry! What better way to usher in 2013 than a stay a the beach. Yes, even in January there are plenty of things to do here on Pleasure Island and downtown Wilmington. 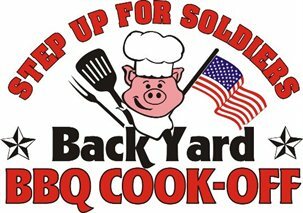 Plan to visit for the Back Yard BBQ Cook-Off at the lake in Carolina Beach January 25th and 26th. Thirty teams armed with their own secret recipes will compete for the title of “best BBQ at the beach”. The greatest part is that all money raised at this event supports “Step up for Soldiers” a group that helps our disabled veterans and supports our troops. Come and enjoy delicious food, great music and a chance to honor our armed forces. Don’t forget downtown Wilmington offers many fun things to do and see. One of our favorites is Fourth Friday’s. On the last Friday of each month from 6pm-9pm a smattering of local art galleries, studios and restaurants open their doors to the public for after hours viewing. Enjoy wine and food on this self guided art walk around town. Oh, and did we mention it’s free? For those of you who are “foodies” a delicious way to spend a January afternoon may be the Wilmington Food Walking Tour on the Riverwalk. Seven of our local restaurants invite you into their kitchens to taste culinary delights and meet their chefs. This event happens on January 12th this year. Finally, you may want to get your tickets now for the Wilmington Chocolate and Wine Festival that takes place February 1st-3rd at the Coastline Conference Center. 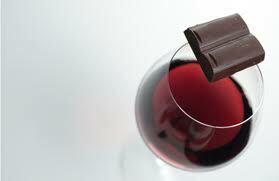 Experience wine, artisan chocolates, food and wine. This entry was posted in BBQ cook-off, Chocolate and wine festival, food walking tour, Fourth Friday's, Wilmington by admin. Bookmark the permalink.